Built in 2013, by the Foss Maritime Shipyard of Rainier, Oregon (hull #19) as the Emmett Foss for the Foss Maritime Company of Seattle, Washington. 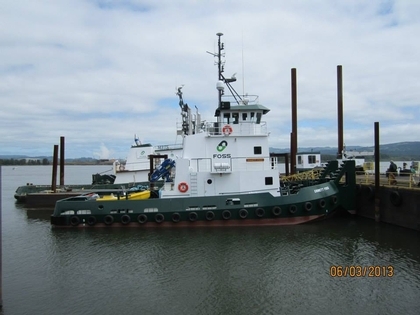 The tug's deck equipment consists of a single drum, Markey TES-22, electric towing winch. Outfitted with 1,250(ft) of 1.375(in) towing wire. With a Markey DESM 18-S electric winch, mounted on the bow.